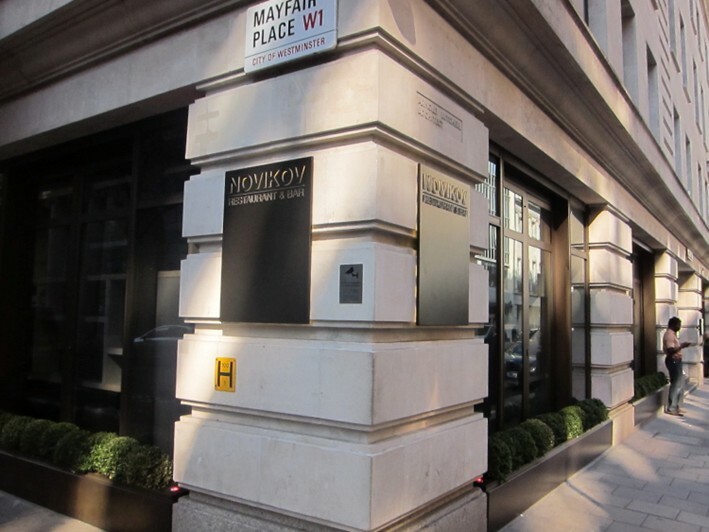 There are two restaurants within the vast Novikov complex (which employes well over 200 staff, to give a sense of scale), the other being a pan-Asian restaurant. Downstairs but with a clever skylight arrangement that appears to be letting in natural light but actually isn’t, is the Italian restaurant. The room is very large, capable of seating 185 covers at capacity, and has displays of fruit and an open kitchen to one side of the room. 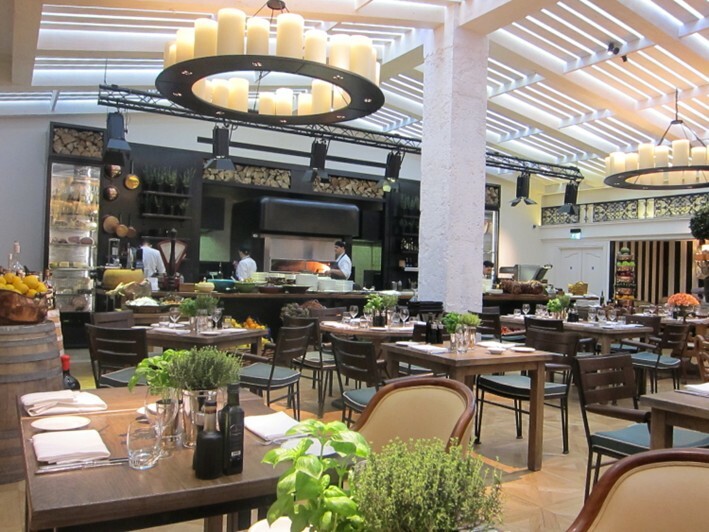 The feel is casual rather than formal, with no tablecloths, a wooden floor and muzak playing. A useful feature for those who arrive early and can’t bear to be off the grid, such as me, is free wi-fi in the dining room. The chef is Carmelo Carnevale, previously head chef at Bar Trattoria Semplice, and who has worked previously in St Petersburg and as a private chef to royalty. 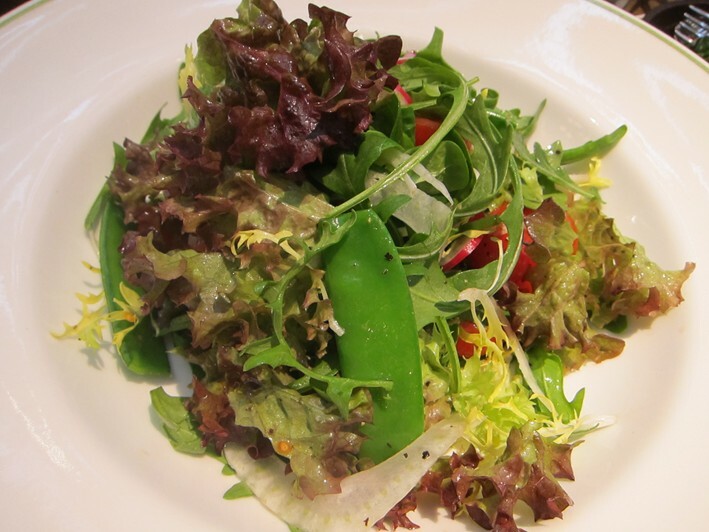 There was a limited choice £22 set lunch menu in addition to the à la carte. The prices of dishes on the latter varied significantly, with starters £12.50 to £18.50, pasta dishes £14.50 to £23.50 and main courses £16.50 - £46. Bread was bought in from Bottega del Panne in south-west London and was pleasant (13/20), with grissini and a white bread, as well as a good Sicilian flatbread that I think was made from scratch and was better than the others. The wine list was described in my review of the Asian Novikov, so I won’t repeat it here. 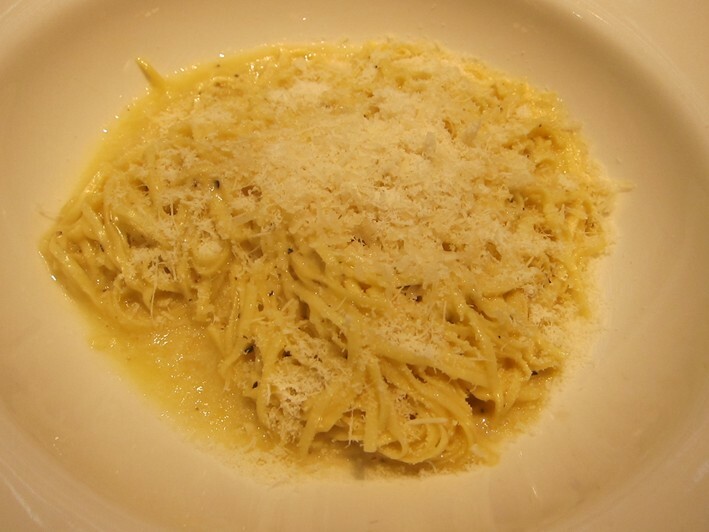 The best dish I tried was a simple one: taglierini (£14.50) pasta with pecorino cheese sauce and crushed black pepper. The pasta had excellent texture, the cheese flavour was good, the amount of pepper just right: simple and very enjoyable (15/20). 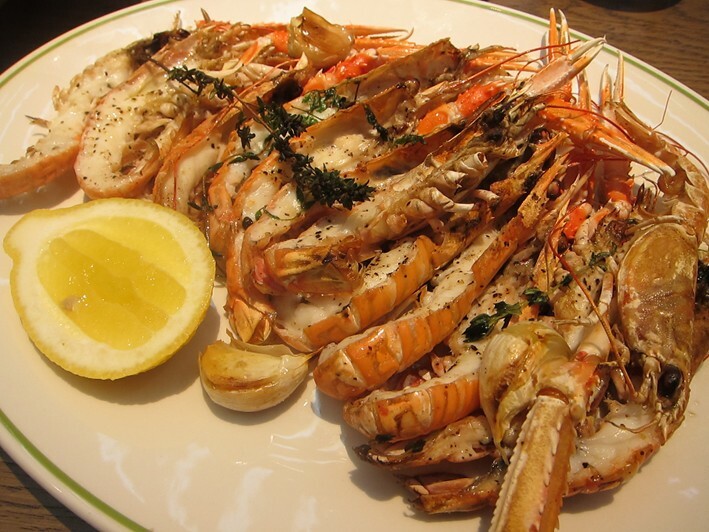 This was better than “scampi” (£27), roasted langoustines which were of good quality but were cooked just a little longer than ideal and so had become slightly softened in texture (12/20). 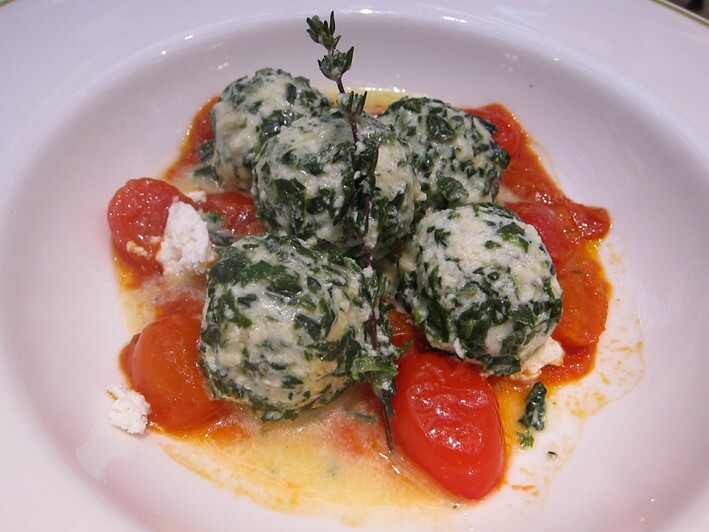 I also tasted gnudi (£18), spinach and ricotta dumplings with tomatoes and smoked ricotta, which had good texture and pleasant flavour (14/20). My dessert was an enjoyable caramelised apple (£8), garnished with slivers of apple and served with yoghurt ice cream. 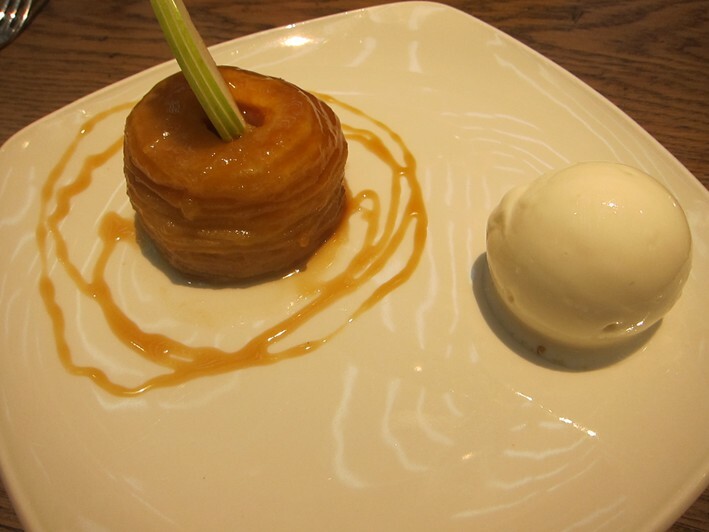 The apple was caramelised well and the ice cream gave some balance to the sweetness of the caramelised apples (14/20). Coffee was fine. 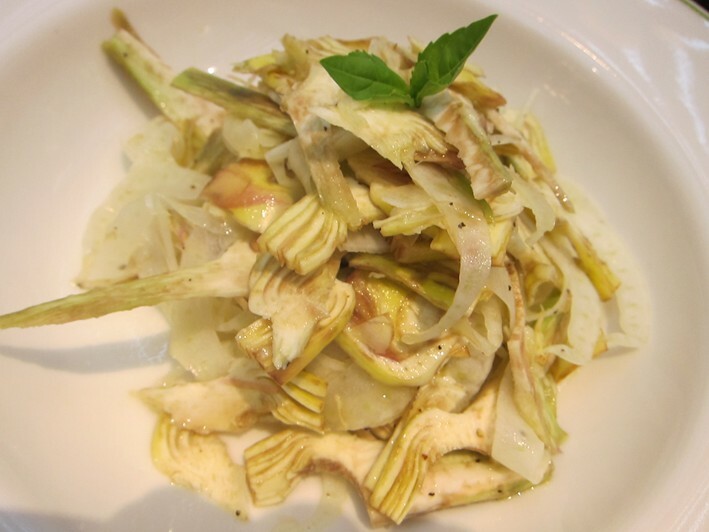 Service was led by a manager who used to work at l’Anima, and was pleasant and efficient. This was good quality Italian cooking. 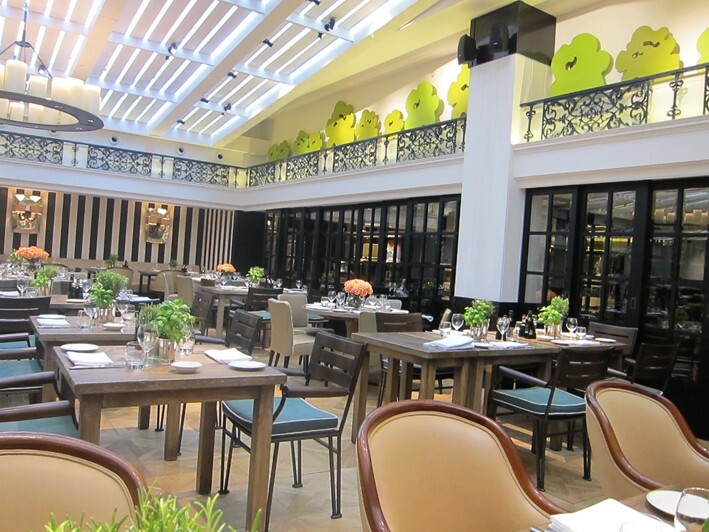 Of course this is the heart of Mayfair and the prices match the setting, but while you can debate the value for money, the cooking is surprisingly capable for such a large scale operation. The restaurant has clearly found the right formula for its target market, as according to the manager the dining room served 350 people the previous Saturday night, a high turnover by any standards.